I know many of you are collecting all the Love Finds You books, so here's another one to add to your collection. Welcome, Lauralee. What are some of the spiritual themes you like to write about? Each book is different in regards to a theme. I like to write an entertaining book that ministers to the heart. In each of my books I write a spiritual lesson that Christian readers can take away – from forgiveness, to being a servant, to finding hope and purpose in time of greatest need. I have a three book contemporary romance series set in the beautiful state of Utah coming in 2010 by Heartsong Presents, Barbour Publishing. The first book, “Love’s Winding Path” is based on the biblical story of the Prodigal Son. I would like to spend time with Sarah Palin. What an incredible Christian woman who is living in an incredible state and with her own fascinating journey as a wife, mother, grandmother, and political figure. I believe she is a true inspiration to all women seeking to embrace the call on their lives to go greater with God. I hope she writes a book! Funny you should say that. Her memoir is releasing in November. How long have you known that you wanted to be novelist? Since I was fourteen when I wrote creative pieces for my English teachers. They were supportive of my early endeavors, and I owe a lot to them for putting me on the path I’m walking today. Rejection is a tough but a necessary road in the journey of a writer's life. I mean, we can’t have everything accepted. But when it seems like nothing is happening and the doors are closing everywhere, that's when faith must take over. You need to give your writing and its results to God and allow Him to open the doors when the timing is right. And one never knows when that will be. It is our job to make the most of the talent He has given us. One waters, another plants, but it is God that causes the growth. Love Finds You in Bethlehem, New Hampshire, is what one reader calls - a "twist" on the mail order bride story, sort of like the mail order bride meets up with My Fair Lady. In it there’s an uneducated and penniless orphan whose well meaning friend answers an ad for a bride, and the unsuspecting suitor who has no idea what to make of the woman who arrives at the train station. Even if he feels he cannot marry her, he will provide for her. But both are in for a surprise and a change of heart and attitude - thus leading to the idea of the first Bethlehem - that the most precious gifts don’t always come as they're expected. “I don’t know if I can make it!” cried a young voice. The paintbrush shook in his hand, creating a zigzag of azure across the canvas. Tom Haskins tried to set the brush on the easel but it fell, coloring the blades of grass a murky blue. Nearby, a young couple stumbled out of the woods. The man supported a finely dressed lady who limped along, wincing in pain. “What happened?” Tom called, hurrying to assist them. “Never fear, my dear. My carriage is there,” he said to Tom, pointing to the coach Tom had seen when he arrived to this fine wooded setting, not far from the town of Bethlehem. What an interesting start for the story. I want to turn the page. How can readers find you on the Internet? or look me up on Facebook – I’d love to be friends! Thank you, Lauralee, for spending this time with us. Along with many teenagers and older readers, I've been anxiously awaiting the release of the second book in The Rayne Tour Series. Now it's here. Today, we're talking to the mother/daughter writing team. Brandilyn, it was wonderful to see you at the ACFW national conference in Denver. What are some of the spiritual themes you like to write about? You know, when I write my suspense novels I don’t even have a spiritual theme in mind. I set out to write a good suspense story, and through the dangers and characters, the faith element arises. In this way the faith thread becomes a natural and integral part of the story. Amberly, what other books of yours are coming out soon? Book three of the Rayne Tour series (not yet titled) is going to be quite a whirlwind. The story will pick up a year or so after Last Breath ends, with Shaley pulled into immediate and terrible danger. That’s about all I want to say regarding the plot now. We can promise you that the series will end with a bang. Book three will release in the spring of 2010. 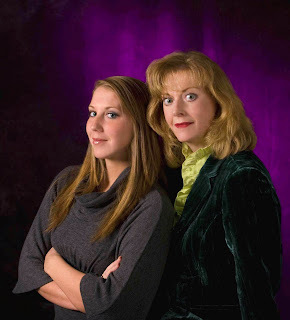 Brandilyn: I made the decision to pursue learning how to write fiction in 1989, just after Amberly was born. Ironic, huh. Who knew we’d one day be writing together? Amberly: I never really thought about writing fiction until the chance for creating the Rayne Tour series was presented to us. It’s been a wonderful opportunity. I don’t think being a full-time novelist is in my future, however. Brandilyn, what can you tell authors who have been receiving only rejections from publishers? Keep at it. That’s all you can do. Keep studying the craft. Read, read, read, write, write, write. I went through 10 years of rejections before I sold my first novel. And I thought my eight years was a long time. Now Amberly, tell us about the featured book? Last Breath picks up immediately where Always Watching leaves off. If you haven’t read Always Watching yet—read that one first! Don’t even read the first page excerpt for Last Breath below. You don’t want to miss the excitement and twists in Always Watching. In Last Breath Shaley faces a burning question, and she’s determined to get answers. But when Shaley tries to seek out the truth, it may not be the truth she’s hoping to hear. Meanwhile new danger arises. Havoc wreaks in Shaley’s once again. I really like this story. Maybe even better than Always Watching. I know readers of Always Watching are going to like it too. Guitars blasted the last chord of Rayne’s hit song, "Ever Alone," as Mom’s voice echoed through the Pepsi Center in Denver. The heavy drum beat thumped in my chest. With a final smash of cymbals, the rock song ended. Multicolored laser lights swept the stadium. Time for intermission. I rose from my chair backstage. Tiredly, I smiled at the famous Rayne O’Connor as she strode toward me on high red heels. In the lights her sequined top shimmered and her blonde hair shone. She walked like a rock star—until she stepped from her fans’ sight. Then her posture slumped. Mom’s intense blue eyes usually glimmered with the excitement of performing, but now I saw only sadness and exhaustion. How she’d managed to perform tonight, I’d never know. Except that she’s strong. A real fighter. Yes, I have to read that book! How can readers find you on the Internet? Amberly: Join our Rayne Tour group on Facebook! Here’s the link. My personal page on Facebook is here. 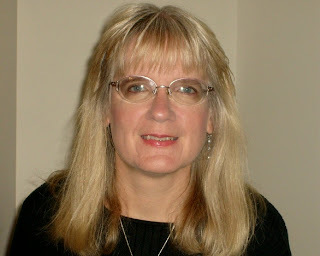 Brandilyn: Please visit my Web site to read about all my books, including the first chapters. I’m also on Facebook. And Twitter. My “Fans of Brandilyn Collins” group page is here. Thank you, Brandilyn and Amberly, for sharing this new book with us. I'm thrilled to be featuring Mona right now. Her historical novel will release in Walmart in October. I was privileged to read it for endorsement. You will love this story. Welcome, Mona. Tell us how much of yourself you write into your characters. Oh. I think I give away pieces of myself to each character—male or female, young or old. Mostly, an intuitive act in the process. Personality traits. Experiences. Interests. Frustrations and joys. Struggles and triumphs. Family and relationship dynamics. Certainly, lessons being learned on my spiritual journey. Well, I’ve ridden a camel, fed a giraffe food from between my lips, and I petted a crocodile. I went for a helicopter ride for my 50th and a flight over Sedona in a bi-plane for my 55th. I accepted the possibility in November 1987 when I received an envelope from The Secret Place (a quarterly devotional publication) the day before Thanksgiving. Inside, my first rejection letters along with my first acceptances. Children’s books are a big favorite—picture books, poetry, and middle grade fiction, mostly. Novels for adults—historical (mostly 1700s and 1800s) and contemporary, romance, mysteries, and westerns. A good story for any age pulls me in. I’ve had 28 children’s books published, including Real Girls of the Bible: A Devotional (Zonderkidz), Bedtime in the Southwest (Rising Moon Books), and The Princess Twins Series (Zonderkidz I Can Read). I’m currently writing Too Rich for a Bride, Book Two in the Sinclair Sisters of Cripple Creek Series. I can hardly wait for that one. Please contact me, so we can feature it near its release, too. How do you keep your sanity in our run, run, run world? Bubble baths and smacking the ball in a heated match on the Wii tennis game. I've done Wii bowling, but I haven't tried tennis. We don't have the game at our house. How do you choose your characters’ names? Usually from a list of names I’ve collected. Those names can come from badges on waitress or store clerks. They can be the names of newscasters or musicians. Sometimes I use the names of people I know or names from my family history. In other cases, I look at lists of names from particular time periods or countries. Professionally? The writing of this book—Too Rich for a Bride. It is my first completed novel, and I wrote it from concept to draft, including the research. A roadrunner. I tend to move too fast at times. I’m a wistful wanderer every chance I get. And I’m a curious explorer, keeping an eye out for the next lizard . . . i.e. story to chew on. A carne asada taco with avocado, lime, and cilantro in a fresh corn tortilla. Or a spinach enchilada with green sauce. Yum. What is the problem with writing that was your greatest roadblock, and how did you overcome it? Perfectionism. Fear of not getting it right. Having a two-month deadline and a two-book contract worked wonders. Remember that writing, being a writer, and publishing is a process, and persevere. Yes, it's all about the process. Tell us about the featured book? Two sisters arrive in an 1896 mining camp expecting marriage, but finding love. Cripple Creek is a booming gold mining town nestled in a saddle valley near the base of Pike's Peak on the front range of Colorado. At an elevation of nearly 10,000 feet and just below timberline, the city’s history is one of ups and downs with fires, disease, and labor wars. Two Brides Too Many is the 1896 story of Kat Sinclair and Nell Sinclair, two of four sisters who make their way to Cripple Creek from Maine to find love and God’s design for their lives. Ida perched on a cushioned chair, face to face with Nell. The oldest of the four Sinclair sisters wasn’t accustomed to losing, and it showed in Ida’s furrowed brow. She stared at the board, but the pattern of the red and black disks didn’t change. When she finally made a move, Nell snatched the red game piece off the board, her blue eyes sparkling. I hope that hooked other readers as it did me the first time I read the words. How can readers find you on the Internet? To receive my quarterly e-update, email me at mona@monahodgson.com with Mona’s Update in the subject line. 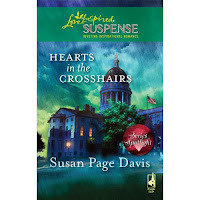 Erin (ellybean) is the winner of A Widow's Hope by Mary Ellis. Lady Araujo is the winner of Rebecca's Promise by Jerry S. Eicher. 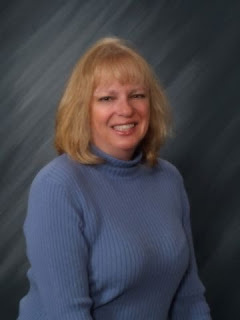 Christy--Southern Sassy Girl is the winner of Rebecca's Return by Jerry S. Eicher. Katherine (kefarley89) is the winner of Look to the East by Maureen Lang. All winners must send me their mailing address so their book can be sent to them. Click on View My Complete Profile and use the link to my email or go to www.lenanelsondooley.com and click on Contact Me. An avid knitter, coffee junkie, and devoted chocoholic, Allie Pleiter writes both fiction and non-fiction. The enthusiastic but slightly untidy mother of two, Allie spends her days writing books, doing laundry, running carpools, and finding new ways to avoid housework. She grew up in Connecticut, holds a BS in Speech from Northwestern University, spent fifteen years in the field of professional fundraising, and currently lives in suburban Chicago, Illinois. 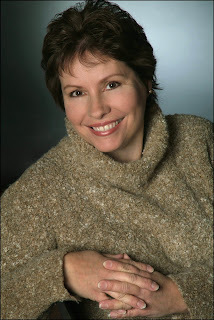 The “dare from a friend” to begin writing nine years ago has given rise to a career spanning two parenting books, eight novels including the multi-nominated MY SO-CALLED LOVE LIFE, and various national speaking engagements on faith, women’s issues, and writing. Welcome, Allie. God has really been moving in your writing life. What do you see on the horizon? I’m in talks for a new series of linked historicals and contemporaries for Steeple Hill. I love both formats, and I’m looking forward to the challenge of pulling them together into one sweeping multi-generational series. I can’t say much more than that--and that I’m very excited! They put up with more than most families, that’s for sure. I’m afraid being a writer only exaggerates all my goofy tendencies. And we will not discuss how much yarn is all over my house--I’m an obsessive knitter. I’m in the midst of raising teenagers, so life is never, ever boring. My husband is a car guy, and has the patience of a saint. I’m a very impressionable reader, so I have to be careful what I read. I don’t read historicals when I’m writing historicals, although I’ve learned that audiobooks can be useful because they put the musicality of the language into my head. I read very widely--non-fiction, fiction, historical, contemporary, all sorts. It’s much harder to read for pleasure when you write for work...I still love to read, but it’s not the “getaway” it is for me that it is for other people. I’m finishing up the novella, Bluegrass Easter, that will be in Easter Promises released from Steeple Hill in March 2010. Then I’ve got to polish up the historical/contemporary proposal and get right back into final re-writes for the sequel to Masked by Moonlight, called The Midnight Messenger, which comes out later next year. Many people know me as much for my knitting as for my writing. That’s my passion off the page, definitely. Well, and cupcakes. And chocolate. And coffee. I choose a city I want to get to know. It’s an important part of my process to spend time in the city where my books are set. It’s part of the fun for me. So I choose a location that calls to me somehow. Right now, it’s Charleston, South Carolina, that’s calling my name--the perfect escape from Chicago’s challenging winters, don’t you think? Right now, it’d have to be the World War I dirigible pilot that I’m researching for my book. I’d have a ton of questions to ask him! I’m at a place where I can only see a small bit ahead. There’s a lot of unknowns in my future, and I’m the kind of person who wants a detailed plan (but I’m a “pantser”--I never plot!--go figure). So the lesson for me is trust. And faith. Write. Nothing beats it. Nothing replaces it. Nothing happens if you try to get around it. Gather friends who write. This business has the oddest of challenges and you need folks around you who understand the idiosyncrasies. Bluegrass Christmas was great fun to write. Middleburg and its quirky inhabitants make funny material for a holiday episode. Mac MacCarthy isn’t expecting to find the love of his life living over his office. And Mary Thorpe isn’t getting anything close to the “perfect small town Christmas” she was seeking. Like all good love stories, they make each other miserable before they make each other happy, but there are lots of good laughs along the way. That’s what led new believer Mary Thorpe to start over in quaint Middleburg, Kentucky. As director of the church’s Christmas pageant, Mary’s job is to bring the townspeople together, to remind them what the season is really about. But everyone is all riled up over one very handsome man: the man daring to run against Middleburg’s popular long-standing mayor. Mac MacCarthy wants change. Mary wants things to stay as they are. Is there a happy medium? Both Mac and Mary are in for one very big Christmas surprise. My website is http://www.alliepleiter.com/, and if you are a knitter, my knitting blog is http://destiknitions.blogspot.com/. Come visit! Thank you, Allie, for spending this time with us. I love to knit, too. I talked to Camy and another author at conference about knitting Victorian lace. I'm just going to have to get started on that. I've ordered the book. At conference last weekend, I headed downstairs from the mezzanine where I had been taking paid critique appointments. I meant to say, "I'm going to my room to decompress." Unfortunately, it came out, "I'm going to my room to decompose." I've been doing a lot of decompressing the last two days. Trying to get into the groove of writing again. All day Monday was spent on laundry and dealing with 500+ emails. Then yesterday, I was back writing my contracted book for Summerside Press. I've attended every ACFW conference, even the two Texas regional ones before we started the national conferences. This one was the best one yet. Someone reminded me that was what I said every year. And it's been true each year. The conferences keep getting better and better. I loved the hotel, and the staff was exceptional in both serving us and expressing special care. I'm really looking forward to going to national next year in Indianapolis. I've already started saving the money for the trip. I attended the advances Continuing Education section with Allen Arnold and Karen Ball. Gail Sattler shot this picture of me when I was answering a question. Then on Friday night, Ted Dekker came to the hotel to hang out in the lobby. He recently joined ACFW, but not soon enough to sign up for the conference. I'd featured him on this blog, so I was glad he was still hanging out when my Barbour author's party was over. On the night of the Awards Banquet, I hung out with a lot of my friends. 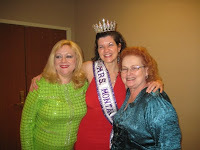 The only pictures I have downloaded right now are the ones of me with my friends agent Tamela Hancock Murray and Angie Briedenbach (who is also Mrs. Montana). Then when we left the hotel on Sunday, my roommate, Marilyn Eudaly, and our friends Anne Greene and Margo Carmichael had a real treat. Marilyn's neice Carol, the one on the right side of the picture, took us to Golden, Colorado, which is a suburb of Denver in the foothills of the Rockies. We ate in this Inn and enjoyed the trip that gave us more sights to see before going to the airport. Carol's husband, oldest daughter, and granddaughter joined us for the meal. Thank you, carol for the special treat. Today, we're doing something different. 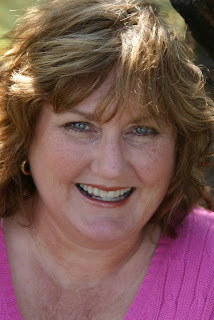 I've featured Cindy on this blog several times and love her books. For her newest release, a Christmas book, instead of an interview, I'm giving you the first chapter. The aroma of fresh-baked bread, shepherd’s pie, and steamed vegetables filled Lizzy’s house, mingling with the sweet smell of baked desserts. In the hearth a bank of embers kept a small fire burning, removing the nip that clung to the early-April air. The noise of conversations rose and fell around Lizzy’s kitchen table as her brother and his large family talked easily throughout the meal. His grown and almost-grown children filled the sides of her fourteen-foot table, and his grandchildren either sat in their mothers’ laps or in highchairs. Nearly four decades ago her oldest brother had put effort into finding an Amish bride. When Stephen found the right girl, he married her. He’d handled life well, and the fruit of it fed her soul. Lizzy had focused on her business and never married. She didn’t regret her choices, not for herself, but she’d crawl on her hands and knees the rest of her days to keep her niece from the same fate. Beth was like a daughter to Lizzy. Not long after the family’s dry goods store passed to Lizzy, Beth graduated from the eighth grade and started working beside her. Soon she moved in with Lizzy, and they shared the one-bedroom apartment above the shop. When Lizzy had this house built a few years ago, her niece had stayed above Hertzlers’ Dry Goods. Lizzy studied the young beauty as she answered her family’s endless questions about her decisions in the middleman role between the Amish who made goods and the various Englischer stores who wanted those goods. That was her Beth. Answer what was asked. Do what was right. Always be polite. Offer to help before it was needed. And never let anyone see the grief that hadn’t yet let go of her. Beth had banned even Lizzy from looking into the heartache that held her hostage. Lizzy had a backup plan—one Beth would not appreciate. Over the din of conversations, the sounds of horses and buggies arriving and the voices of young people drifted through the kitchen window, causing Beth to look at her. Two of Beth’s single younger sisters, Fannie and Susie, glowed at the idea. With grace and gentleness, Beth turned to her Mamm and asked if she would need help planting this year’s garden. It didn’t seem to bother Beth that five of her sisters had married before her, and three of them were younger than she was. All but the most recently wed had children. Lizzy knew what awaited Beth if she didn’t find someone—awkward and never-ending loneliness. Maybe she didn’t recognize that. It wasn’t until Henry came into Beth’s life that she even seemed to notice that single men existed. Within a year of meeting, they were making plans to marry. Now, in an Amish community of dresses in rich, solid hues, Beth wore black. Through a window Lizzy saw the young men bring their rigs to a halt. The drivers as well as the passengers got out of the carriages. The girls soon huddled in groups, talking feverishly, while the guys went into the barn, pulled two wagons with plenty of hay into the field, and tied their horses to them. It was far easier to leave the animals harnessed and grazing on hay than to have to hitch a horse to its buggy in the dark. The young people knew the routine. They would remain outside playing volleyball, horseshoes, or whatever else suited them until after the sun went down. Then they’d come inside for desserts and hot chocolate or coffee before riding in wagons to the field where they’d start a bonfire. Fannie and Susie rose and began clearing the table. Beth went to the dessert counter and pick ed out a pie. She set it on the table beside her Daed, cut a slice, and placed it on his plate. Then she slid a piece onto her Mamm’s plate before passing the pie to her brother Emmanuel. She took her seat next to her mother, still chatting about the upcoming spring planting. Lizzy hoped her brother saw what she did—a daughter who continued to shun all possibility of finding new love. Beth clung to the past as if she might wake one day to find her burning desires had changed it. Flatware stopped clinking against the plates as all eyes turned to Beth. Fannie glanced to her Daed. Chairs screeched against the wood floor as most of the brood stood. Fannie and Susie bolted for the door. Two more of Beth’s sisters and two sisters-in-law went to the sink, taking turns rinsing the hands and faces of their little ones before they all went outside. Lizzy longed to see Beth in colored dresses, wearing a smile that radiated from her soul. 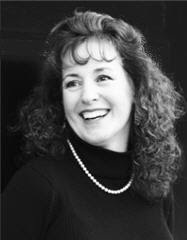 Instead Beth pasted on smiles, fooling most of those around her into thinking her heart continued to mend. But her quieter, more stoic behavior said things no one else seemed to hear. Lizzy heard, and she’d shared her concerns with Beth’s Daed, Stephen. Beth took a stack of dishes to the sink and flicked on the water. “You can leave that for now,” Stephen said. She turned off the water and remained with her back to them. Stephen got up and piled more plates together. “Of course you are. And I’ll throw my favorite pie at anyone who says otherwise.” He stuck his finger into his half-eaten piece of chocolate pie, placed it in his mouth, and winked at Beth. She smiled, an expression that probably looked real to her Daed but reminded Lizzy of fine silk flowers—only beautiful to those who aren’t gardeners. Lizzy hoped Stephen didn’t fall for the diversion tactic Beth had just thrown his way, but since Beth was listening to him without getting defensive, Lizzy wouldn’t interfere. “Good. If that’s where you feel like beginning, I’m glad to hear it. I know the community will be too, because without you they can’t sell near as many of their goods.” He walked to the table, took a seat, and motioned for Beth. She moved to the chair beside him. The four of them remained silent as shouts and roars of laughter echoed from outside. If anyone could touch Beth’s heart and cause her to change, her Daed could. But the silence continued, and Beth’s inability to think of anything hopeful to say made Lizzy sick with worry. The grandfather clock chimed the half hour, startling Lizzy, but no one spoke. Long shadows filled the room, and she lit a kerosene lamp and set it in the middle of the table. Whatever happened the night Henry died consumed Beth. When Lizzy arrived on the scene, her niece didn’t even acknowledge her. The only words Beth spoke were the ones she whispered for days—God, forgive me. Lizzy had tried to talk to her about it, but Beth never broke her polite silence on the topic. “Then can you trust mine?” her Daed asked. Lizzy repositioned her glass of lemonade. During church the singles sat separately from the married couples. Lizzy’s memory of growing too old for the singles and removing herself from them still stung. From that day on she’d carried the title of alt Maedel—old maid. She’d been older than Beth’s twenty-six years, and her prospects of finding someone had faded into nothingness. If Beth thought navigating life after Henry was difficult, Lizzy dreaded the pain that lay ahead for Beth when she openly admitted to the Amish world that she didn’t fit—not with the single folk and not with the married ones. Stephen had yet to mention anything about the color of mourning Beth still wore. If she would wear something besides black, young men would gravitate to her, and she stood a chance of finding someone. Beth kissed her Daed’s cheek, told Her Mamm and Lizzy she’d see them later, and left. Lizzy moved to the window and watched as her niece walked past small groups of young people. She overheard both women and men asking Beth to stay. Beth shook her head, smiled, and waved before making her way across the road and into the pasture near their store. “You said nothing that will nudge her to change how she’s handling life,” Lizzy said. Lizzy stood in silence as Beth harnessed her mare to a carriage. She knew where Beth was going. © Material Excerpted from The Sound of Sleigh Bells by Cindy Woodsmall, Copyright © 2009 by Cindy Woodsmall. Excerpted by permission of WaterBrook Press, a division of Random House, Inc. All rights reserved. No part of this excerpt may be reproduced or reprinted without permission in writing from the publisher. Thank you, Cindy, for sharing this with us. I can hardly wait to read more about Beth. I will be reading and reviewing Christmas books in October and November. ** cover art used by arrangement with Harlequin Enterprises, Limited. All rights reserved. Welcome back, Susan. How did you come up with the idea for this story? It just came to me one day, as ideas often do. Perhaps it was a combination of things I’d heard or read in the news, or seeing the state Capitol building again. All of a sudden, I knew I wanted to give Maine a female governor—something the state has never had. And she would be fighting for her life. I like it already. 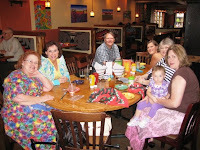 If you were planning a party with Christian authors of contemporary fiction, what six people would you invite and why? Dee Henderson, Susan Meissner, Terri Blackstock, Angela Hunt, Linda Nichols, and Margaret Daley. That sounds like a pretty good mix to me, and they’re all people I’d love to brainstorm with. I'd like to hide in the corner and listen. Now let’s do that for a party for Christian authors of historical fiction, what six people would you invite and why? Ooh, another party! DiAnn Mills, Darlene Franklin, Tracie Peterson, Robin Lee Hatcher, Vickie McDonough, and you. I would love to sit down with this group and talk shop! Thank you for including me. That would be one I'd like to attend. Many times, people (and other authors) think you have it made with so many books published. What is your most difficult problem with writing at this time in your career? Right now, it’s having time to develop good, strong proposals. I know what you mean about that. Tell us about the featured book. She came for her inaugural address—and found herself dodging bullets instead. Newly elected Maine governor Jillian Goff doesn’t know why someone wants to kill her. But she knows they came close. Too close. Enter Dave Hutchins. A member of the state’s Executive Protection Unit, Dave’s mission is to protect the governor and find the would-be assassin—without getting emotionally involved. Yet the more time Dave spends with Jillian, the less he can imagine ever leaving her side. Not with her life—and his heart—caught in the crosshairs. Bring it on. I can hardly wait to read it. How can readers find you on the Internet? 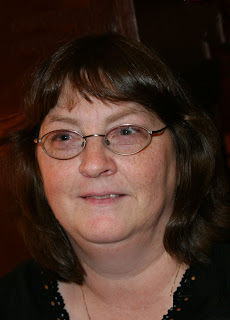 Visit me at my Web site: http://www.susanpagedavis.com/. I’d love to see you there. Thank you, Susan for spending this time with us. Linda (desertrose5173) is the winner of Kathryn's Fountain by David J. Claasen. Host is the winner of The Rose Conspiracy by Craig Parshall. Rose McCauley is the winner of One Imperfect Christmas by Myra Johnson. Lynn McCallum is the winner of Surrender the Wind by Rita Gerlach. For the first time, I've had two of my books go to Thorndike, large-print, hardback editions. I only received two copies of the book, so there won't be a giveaway for this one. However, if you or someone you know needs large print books, you might be interested in these two. They are available at the Thorndike Press web site and on Amazon. Also, many libraries buy these books. So if your library doesn't have them, you could ask the library to stock them. I'd appreciate it. The Cactus Corner singles scene is shrinking. . . . 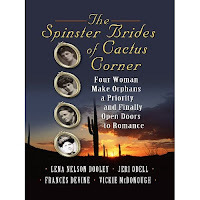 Many were unmarried by choice, others by circumstances, but single women living the 1800s carried the unfortunate label of “spinsters.” Once branded, can a spinster find love? India Cunningham is happy running the ranch her father left her when a man she doesn’t remember from her childhood arrives to help her. Can she trust Joshua Dillinger, or is he there to steal her land? Lawyer Anika Windsor is pitted against her first and only love, law school beau Tucker Truesdale. Can these two opposites find true and lasting love, or will their differences keep them apart forever? Elaine Daly has dedicated her life to caring for orphaned children and has no desire for a husband. But when new doctor Dan Murray comes to town, he changes her world. Can he also change her heart? Jody McMillan is determined to raise enough money to buy a vacant property to expand the overcrowded orphanage. Unknown to her, Aaron Garrett has already bought the lot. Can they come to an agreement? Or will both lose what they want, including the one they love? When Valerie Bradford asks a Home & Hearth employee for assistance, she doesn’t guess that she will get more than she bargained for. Austin Hodges can’t believe what the feisty blond woman plans to accomplish by herself. Because of his profession, he knows how much help she needs, but for right now, his advice will have to do. Can God lead them through the misunderstandings they encounter toward a bright future together? Gary Andrews works security at the H&H when Janice Jones begins working in the flowers and plants department. Soon her activities become suspect. He can have her arrested or try to save her from a life of crime when personal feelings and moral responsibility become entangled. This Carolina superstore is buzzing with romance, but will love find a firm foundation to build upon? Readers, thank you for stopping by. If you are interested in obtaining a copy of either of these books, here are links where you can order them. 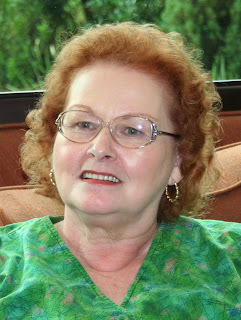 It's a great pleasure to welcome Maureen back to my blog. What are some of the spiritual themes you like to write about? This is one of the most exciting aspects of Christian fiction—the spiritual layer that can be represented subtly or overtly, symbolically or blatantly. The theme in Look To The East is misplaced faith—how people can put their faith in the wrong thing, like themselves, or another person, or even in a group of people. In previous books, as in My Sister Dilly, I wrote about God’s unconditional forgiveness, and in The Oak Leaves my characters learned to trust God even when everything else in their lives seemed to fall apart. I have an upcoming book (Book Two in my Great War series, still untitled at the moment) where the hero’s faith has become elusive, impossible to hold on to. Unfortunately, it’s usually challenge, heartache and conflict that bring us closer to God, and it’s no exception for my characters. I wish I could tell you the title, but as of right now Book Two in my Great War series is untitled. Being “Book Two” is just a technicality, by the way. The fact is, each book will stand alone, with characters only loosely related. I’ve just turned this second book in and had a blast writing it—or should I say rewriting it, since it’s actually an updated version of a story idea I had several years ago. I’ve always loved this story and its characters, but when I first wrote it, it was not only too long, it didn’t easily fit into a specific genre. It straddles the fence between historical fiction and historical romance—so I’ve cut the length and turned up the romantic element so that it better fits the historical romance genre (my favorite kind of book!). I love historical romance, too. If you could spend an evening with one contemporary person (not a family member of yours), who would it be and why? I’d like for my husband and I to be able to spend an evening with Charles Krauthamer. Who’s he, you might wonder (if you don’t watch Fox News in the evenings). 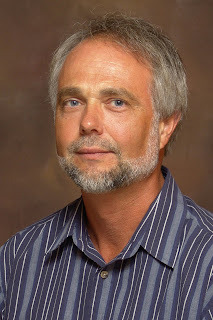 Dr. Krauthamer is a syndicated columnist who, to me, is one of the most insightful conservative voices out there. You won’t see him on shows like "The McLaughlin Group" or other venues where panelists are trying to out-shout each other. He’s soft spoken but sure of himself, which I admire. Sounds interesting. How long have you known that you wanted to be novelist? Seriously, since I was ten years old. I’ve always wanted to tell stories, and I completed my first novel at age ten. Handwritten. A romance (of course!). I passed it around to neighborhood kids and they were so encouraging I decided all those years ago to never give it up. It’s easy to be really candid with a faceless person, so my advice will be candid. It depends on how long a person’s been at it, the quality of the rejections they’ve received, and the kind of personality a person has in order to withstand this kind of business. If a person writes a book, polishes it, and then is so eager to start getting feedback they start mailing it out to agents (and editors, if they can connect with one or find one still taking submissions without an agent) they may be jumping the gun. In that case, early rejections might not be coming because the author doesn’t have talent. They just didn’t let enough time go by to achieve a fresh eye to really polish their work. Perhaps they didn’t get enough outside input—from other writers rather than friends or relatives—someone objective enough to tell them if their project is working. If a person studies the market by reading the kind of book they’re trying to publish, has joined a critique group or partnered with someone else who can give them objective help, has attended some workshops on craft (either online or at writer’s conferences) and is seriously pursuing professional writing, then they stand a chance at publication. The competition is tough, so the quality of work has to be stellar. Secondly, is the writer consistently receiving only form letter rejections, despite all their efforts at learning to improve, polishing? There are levels to rejection, from form letter to the more personal but encouraging rejections. Ones that include lines like “although this project doesn’t work for us, we’d like to see something else by this author,” or “if the author could make a few changes, we’d like to see this again,” or some other form of “please consider resubmitting in the future.” If, after years of trying, of submitting and resubmitting, an author still only receives form letter rejections, it might be time to reevaluate. I’ve seen many reasons for an author not to progress. Some people are simply uncoachable. They have a story in them and want to tell it, but have no desire to listen to any advice they’re given; for whatever reason they just can’t see their work from a fresh perspective. On the other hand, I’ve seen writers bring in work that seems entirely unpublishable. But with time spent improving their craft, market study, more reading, withstanding critiques, I’ve seen a number of writers go on to produce wonderful (and definitely marketable) work. Third, there are some people who wither over rejection. I do not mean to belittle how painful rejection is. It’s terribly difficult, because it feels so personal. But in reality the rejections a writer receives on the early portion of their journey in this business are the first steps to prepare a writer for the professional side of things. Just because a person is published doesn’t mean rejection doesn’t still come. After publication, most rejections are no longer private. A bad review for all to see, a withdrawn contract, a short career. This business isn’t for the fainthearted, and someone with a fragile ego might be spared all kinds of heartache by not ever getting published. That may sound harsh, but for some, God gave the gift of writing as a way to communicate with Him. Writing, in its purest sense, is fulfilling and can be a great way to learn and grow—in faith, in insight. Publication feels like validation, but the truth is, if writing brings a person closer to God, greater insight into themselves or others, then that’s the real validation. Look To The East is one of my favorite projects! It was one of those stories where, at times, my fingers couldn’t keep up with what the characters were doing. Don’t you love it when that happens? This story follows the romance of Julitte Toussaint and Charles Lassone. Charles tries to volunteer to fight against the Germans just as the First World War breaks out, but he’s too late. He’s caught behind the battle lines, forced to take shelter in a small French village where he meets Julitte, the adoptive daughter of a sailor. They fall in love despite the danger—if the Germans were to find Charles, it would be death for him and perhaps the same for anyone helping him. And when Charles escapes, he comes back for Julitte, proving to himself and to her that he’s not the coward he thought he was at the beginning of the book. Thank you, Maureen, for once again sharing one of your books with us. Readers, today I'm introducing you to a new author to me. Welcome, Jerry. Tell us how much of yourself you write into your characters. That’s what I stay away from. Did write of my growing up years in the first self published novel, A Time To Live. Which worked…sort of…because the story was in the distant past. Current things, nah…I think not. Well…that’s a little hard to say. I tend to do things the unusual way. The latest would be this writing venture. Didn’t plan to write fiction in the first place, then discovered that being the only male writer in the female dominated field of Amish fiction wasn’t exactly the expected thing. Nicholas Sparks helps me feel normal. Choice Books then took me under their wing, taught me the basics of publishing, and I launched my own label. After the third novel, Harvest House kindly signed me up for the real publishing world with The Adams County Trilogy. If I look back I see the first signs in grade school. Wrote a social studies assignment, or some such sort of thing, as a fiction story. Not the usual thing to do, but the teacher did read the story in front of the class. Said that it was the second best class paper turned in. I also won a years subscription to a magazine around the fifth grade--for an entry to a writing contest. Again for fiction, but I never pursed stories. Thought it was too easy--I suppose--to be of much value. Quite wide. Love Grisham, and of course Frank Peretti. Doesn’t get much better than that. Tried Virginia Woolf, The Years, but got nowhere. Had to read, The Lincoln Lawyer, to clear my brain. For romance, there is the great Nicholas Sparks. Loved Whitaker Chamber’s Witness, Karen Blixen’s Out of Africa. Religious material-- that would be about anything C.S. Lewis--and earlier--the novels of George MacDonald. Read the competition…shhhh. Enough to know what goes. I intended to write theological books, and self published two through Winepress. Cost me a lot of money, and purchased little results. Not the fault of Winepress. They put out a quality product for me. Ah…we try to keep the pace down, say a lot of no’s to things. Since I write Amish fiction, the choices are limited. Keep an Amish directory from Holmes County handy. Well…there are my children. Last night would perhaps be an another example. I needed to speak in public, and said what I had to say, twice, in perfect speech. Zero stumbles. I grew up--till my teens and extensive speech therapy--with a severe speech imp ediment. I will live with a version of it for the rest of my life. Yet when the chips are down, I can talk. For those who were ever locked out of the marvel of language, they will understand. One of my daughters had speech impediments and took speech therapy. So I understand. If you were an animal, which one would you be, and why? Haven’t really thought of that. My wife says I go where the angels fear to tread. That might lend itself to, bold as a lion. Perhaps? Gram Cracker Fluff. They must have dropped that recipe from the heavens. I'll have to find a recipe for that. What is the problem with writing that was your greatest roadblock, and how did you overcome it? I don’t normally write full time, and have found recently that repeated days tend to run me dry. Not sure how to work that all out, other than to find something else to do, and not panic. Not sure, as writing is so individualized. Learn the craft, and what is needed in the publishing world. I dream big, shoot for the stars, and learn from the miss. This might not be advisable for everyone, nor may my example be the best. I break a lot of the rules. The Rebecca series begin with Rebecca and John’s engagement. Rebecca then remembers a promise she made in grade school, and the ring she has hidden in her dresser drawer. The trouble starts there and grows. This series has a strong secondary plot line, of a woman who has lost her father’s inheritance. The two threads don’t come fully together until book three. We'll have to have you back with book three. Please give us the first page of the book. lathered its chest strap as it obeyed John’s gentle tug at the reins. were concerned, and never had he voluntarily touched her yet. realization of what he wanted to do, his hands tensed on the reins. hooks and eyes with one hand to let in the warmth of the sun. I’m on Facebook. Search my name…I suppose. The fan page lets you on without the usual friends request. Thank you, Jerry, for spending this time with us. 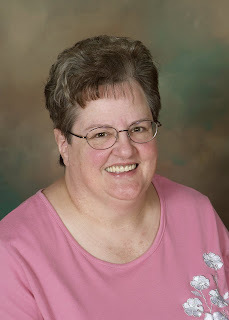 I'm introducing a new author to me on the blog today. Welcome, Mary. Tell us how much of yourself you write into your characters. I try not to put myself into my books but it’s impossible. I love heroines who are kind-hearted but headstrong; faithful, but also willful, who often bite off more than they can chew. In A Widow’s Hope, there is a scene in which my main character starts six or seven projects at once, hoping that multi-tasking will accomplish much. Disaster ensues. I’m afraid that scene is straight from my everyday life. While teaching school, I went on a climbing/rappelling outing with the school geology club, never imagining my fear of heights would get in the way of a good time. I have always been a storyteller since childhood, but didn’t start writing until about ten years ago. Oh my, my tastes are quite varied. I like historical fiction such as Cold Mountain or Killer Angels; I enjoy romantic suspense to curl up with; and I love inspirational stories of women who rise above challenges/adversities to achieve their dreams. And of course, I love Amish fiction because the stories soothe and center me in this hectic world. I have written a Civil War historical romance, my favorite historical time period, and a pair of mystery/romances set in New Orleans, my favorite city in the US. Ah, that is the challenge, isn’t it? I often escape into Amish Country, either into a book by one of my fellow authors, or jump into my car and drive an hour. Once in beautiful, rolling Holmes County, I find my serenity. It’s so much easier to feel close to God while in His rural creation. I take them from the Bible, but I must admit, it’s much easier for male names. Far fewer women are mentioned in the Bible, and those names often sound archaic and foreign to our modern-age ears. I was a dutiful daughter to both of my parents. One suffered a very long, debilitating illness, while the other lived to a ripe old age but needed much help maintaining his independence and autonomy. I guess I’d pick a dog, since right now my dog is curled up in the sunbeam, with a full bowl of her favorite food and plenty of treats. Later she’ll take a nice walk, then curl back up and nap. She’s just had a bath and looks gorgeous, too, without even trying! I like the way you think. What is the problem with writing that was your greatest roadblock, and how did you overcome it? Blocking out enough time without interruptions to get something done. And I haven’t actually overcome it, only learned to better handle it. Try not to compare yourself to others. Have faith in yourself, keep working hard, don’t take rejections to heart because every writer faces them, and leave the outcome up to God. A Widow’s Hope is the story of a woman making a fresh start in her sister’s home and community. When she moves from Lancaster, PA, to Holmes County, OH, she brings along her flock of sheep. Those gentle creatures cause a ton of problems for Hannah who has a few secrets to hide from her newfound love, Seth. Seth Miller has a child still plagued by her mother’s death, and in desperate need of a new mother. But the district deacon feels that mother should be anybody…but Hannah. Baa. Baa. Baaaaa. Hannah Brown nearly dropped the clean dress she was hanging on the line into the dewy grass. But she couldn’t help herself. Every time she heard a sheep bleat, her heart jumped like a new human mom when her infant cried. Hannah pinned the garment to the clothesline and hurried to the pasture fence. Seeing nothing amiss, she breathed a sigh of relief. It was only a couple lambs energetically vying for their mother’s attention. One never could completely relax with a flock of sheep. A lamb might escape the pasture and get lost, drown in the swiftly flowing creek, become entangled in the blackberry briars, or wander into the road. Then there was the possibility of a hungry predator selecting one of her beloved creatures for his evening meal. Hannah lifted her long Plain dress and stepped up on the bottom rail so she might survey the orderly farm her late husband had so cherished. Two years had passed since his death, yet hot tears still stung the backs of her eyes when she remembered what a kind soul Adam had been. There was much to be said for a girl marrying a childhood pal and later her best friend as they grew to adulthood. Please come to my blog-site at http://maryeellis.wordpress.com/. Thank you for taking time to visit with us, Mary. DebsDesk and Buulluvr81 are the winners of An Amish Christmas by Beth Wiseman, Kathleen Fuller, and Barbare Cameron. Lori (Sugarandgrits), Sandra Robbins, and Connie e are the winners of Christmas Homecoming by Debby Mayne. Elizabeth Goddard, Elizabeth Ludwig, and Paige Winship Dooly. Sheila Deeth is the winner of Eye Witness by R. Luedke. Marjorie, JenniferB, and Lastnerve are the winners of Wild West Christmas by Kathleen Y'Barbo, Lena Nelson Dooley, Darlene Franklin, and Vickie McDonough. 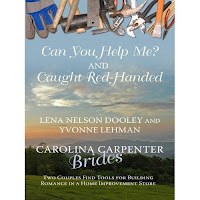 Send me your mailing address either through the email link at View My Complete Profile on this blog or by going to www.lenanelsondooley.com and click on Contact Me. Giant Booksigning in Denver!!! Over 100 Christian Authors!!! On Saturday Sept. 19 from 4:00 to 5:30 p.m. over 100 Christian novelists will gather for a public booksigning. The event will take place at the Denver Marriott Tech Center, 4900 S. Syracuse Street. Do you live within driving distance of Denver? I'd love to see you there! I've really been looking forward to featuring this book. It's my first whole story set in Texas where I live and I was really blessed by the team I worked with. Welcome, Kathleen. How did your story for the collection come about? When we began planning the novella, I was fascinated with the characters the other ladies were crafting. The sisters were women of such strength, and they seemed to be naturally good at things they loved to do. So what, I wondered, would it be like to be that one sister who never really knew what that self-assured confidence was like. Worse, what if a childish playground taunt had followed you into adulthood and made you absolutely certain you were truly “Bessie Mae, plain as day?” And what if the boy who thought up that taunt returns to town as a full grown Texas Ranger and is struck speechless by a Bess he doesn’t even recognize? And that really worked well in the book. What are you reading right now? I’m reading Swinging On a Star by Janice Thompson for endorsement. I am absolutely in LOVE with this book. Here’s the story line: Bella Rossi's life is nearing perfection. She's got the perfect guy, she's running a successful business, and she's about to plan her most ambitious wedding yet, a Renaissance-themed fairy tale come true, complete with period costumes and foods, horse-drawn carriages, and even a castle. There's just one hitch. The best man just happens to be Brock Benson, Hollywood's hottest and most eligible bachelor. Oh, and did we mention he's staying at the Rossi house to avoid the paparazzi? I can hardly wait to read it. What other books have you written, whether published or not? I’ve written more than three dozen historical and contemporary romances as well as two nonfiction books on empty nest and divorce. These ladies were great! We worked hard to create a setting and a group of characters that remained consistent in each story. That’s tough, but worth it! I am always thrilled to work with talented writers. Lena, Vickie, and Darlene certainly fit in that category. Their writing inspired me to do my best. I chose Bess’s name because it fit in the rhyme I envisioned for the back story. Joe, the hero, had to have a name that fit the German ancestry of the area. Since my maiden name is Miller, I decided on Mueller for the last name then Josef came next. That even the ugly duckling can become a beautiful swan. It is all about Who you listen to. Yes, I was in on ACFW from the beginning. My membership number is 8! Writers write! Works every time. Now it's my time to answer the questions. How did yo ur story for the collection come about? I can’t remember who came up with the idea for our story, but I know that we all wanted to write about cowgirls. When we created the family, I chose the youngest in the family and made her a paradox—a complete tomboy, but at the same time very feminine. My hero had to be from back East and couldn’t understand her tomboy ways. Great conflict there. I’m reading a novel by one of my favorite authors for endorsement (while getting ready for back-to-back conferences). Making sure that the details that appear in all four stories match. For more than one novella, I’ve taken the input from the other authors and drawn a map of the town. I did for Horsefly, Texas, which we all used. Before we finished writing the collection, I had also drawn a map of the ranch and a houseplan for the ranch house. I love all three of these women, so working with them was a pure pleasure. For a historical wild-west story, they’re the dream team. I needed a specific kind of name for the heroine, and I found just the right one to fit the situation, and the heroes name needed to be stuffy sounding. Don’t judge people from outward appearances. Do like God does, look at their hearts. Yes. My membership number is 42, so I joined within three months of the beginning. I love this organization for all the ways it helps authors, both published and pre-published. And I’m looking forward to seeing my many special friends at the national conference in Denver next week. Spend time with the Lord, then write with your heart. Now I'm welcoming Darlene Franklin. Tell us how much of yourself you write into your characters. Most of my characters include a bit of myself, but none of them are autobiographical in the least. I don’t see myself as quirky; of course not, I’m perfectly normal! Let’s see. I didn’t get my driver’s license until I was 23. That was weird, because in America a driver’s license is the closest thing we have as a rite of passage to adulthood. During those college years, and in fact until I married and drove my husband’s car, I went everywhere by bus. My parents lived in Maine and I went to graduate school in Texas. I traveled by bus from Mexico City (where I spent the summer) to Maine; from Florida to Texas; and so on. Great memories. Does it count that I saved the first story I ever wrote when I was in second grade? Like many writers, I have written all my life. A girlfriend and I swapped letters with a continuing story about Star Trek (classic Star Trek, I’m dating myself.) I even wrote society news for a small town newspaper when my son was small. But I date the true beginning of my writing career from the days after my divorce. I poured out my heart on paper, and I couldn’t stop writing after that. I read more mysteries than anything else. All kinds—suspense, cozy, private eye, thrillers. I have to force myself to read other things. I also read quite a bit of romance, a bit of historical and Christian nonfiction, memoirs. My first book came out of the pain of my divorce and healing from abuse, God’s Broken Heart. After that, I dived into fiction, developing one of my childhood stories—Strong Medicine, about a female medical student in 1876 Denver. My first published book, Romanian Rhapsody, came next. (It wasn’t published for years after I wrote it, however.) I wrote a sequel, Plain Song. Then I wrote my two favorite unpublished books: Calm Before the Storm, romantic suspense about a male amnesia victim and the doctor who is trying to help him. And Night Burning, a novel about two brothers who took opposite sides during the Montgomery bus boycott, and the woman they both love. I've been part of several Christmas novellas published by Barbour. When things get too busy, I freak out, I confess. Sometimes all I need to do is to have a quiet praise time, humming worship songs to myself. That often jolts me out of focusing on my problems and on Almighty God. I may choose to stay home when I’m supposed to be somewhere else (church, writers group). I make sure I get 8-9 hours of sleep a night. And I keep my commitments to a minimum. I didn’t think a lot about choosing names when I wrote my first (published) book, Romanian Rhapsody. But since then I discovered a tendency to give all my characters very British sounding names. So I make myself look elsewhere. I may look at the immigrants who first settled that portion of the country. Or if I find a first name that I like (Blaine), I’ll choose a last name that shares the same ethnicity (Irish: Kelvern). One of the more unusual techniques I’ve tried is using the letters on license plates as my characters initials. “NC” became Nathan Currier; “FM,” Ford Murdoch. Play around with them; FO can migrate into Franz Orbach, Fernando Olivarez, Finola O’Sullivan or Felicity Owen. I keep an alphabet list to avoid giving characters the same initial. The simplest is the best. Read, read, read and write, write, write. Simply writing every day improves your writing, especially when you start studying the craft and join a critique group. Now we're welcoming Vickie McDonough. I’ve had my story sitting on the burner for a while, and this collection was the perfect fit for it. It’s the story of a young woman who is only good a training horses. She finds her world tilting when her father hires a half-breed to replace her. I love that book. What other books have you written, whether published or not? Also coming out this fall is a Christmas novella collection called A Blue and Gray Christmas, which is has a Civil War setting. Next April, my first long fiction book called The Anonymous Bride will be release. Some collections are fairly easy because the stories aren’t tied together other than the theme. Ones like Wild West Christmas are much harder. You have to make sure the ranch house, ranch setting, and town setting stays the same in all four stories, as well as the looks and personalities of the characters. Each author reads the other stories to make sure everything is accurate. I got to take a trip to Fredericksburg, Texas, in the Texas Hill Country to do some research. My husband and I had a good time seeing the sights and doing research. I also got to work with a fabulous team of authors. That was fun. It varies. I look at their ethnicity sometimes, which is what I did for Carson Romero. Carson reflects in mother’s Scottish heritage while Romero shows his father’s Mexican heritage. Sometimes, the location plays a factor. Where my character grew up is also an important factor. Sometimes I just research an online Baby Name’s sight and search until I find a name that seems to fit the character. Sometimes God has different and better plans for our lives than we can believe is possible. My agent, Chip MacGregor, once said in a conference, that all writers need a Paul, a Timothy, and a Barnabas. Within our circle of writer friends we each need someone to encourage us who’s further along than us, a peer who is on a similar level, and we need to be helping someone who isn’t as far along as we are. Thank you, teammates, for allowing readers to have a peek inside your world.